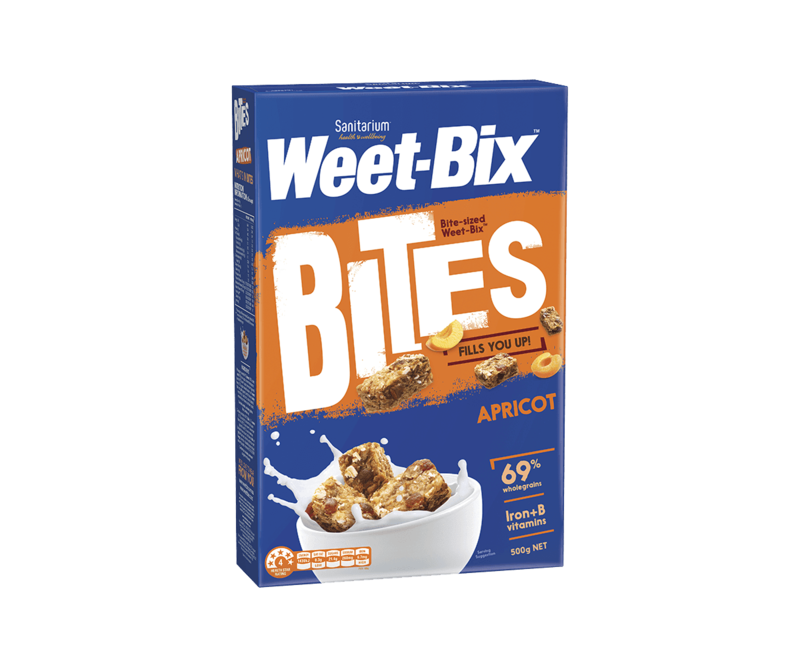 If you enjoy delicious sweet apricot flavours for breakfast, this is the way every day should start – with Weet-Bix™ Apricot Bites from Sanitarium. 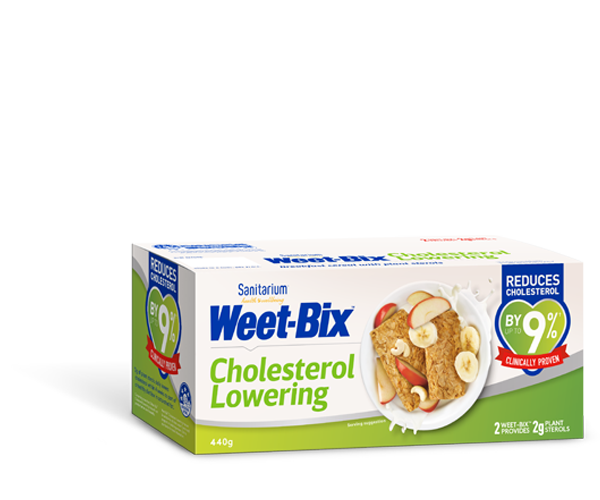 With 69% wholegrain including wheat and oats (that’s for fibre) blended with delicious apricot flavoured pieces and a burst of honey (that’s for a great taste!). Plus iron and B-vitamins (to help release the energy you need to kick-start your day). Great as part of a balanced diet rich in iron & vitamins B1, B2 & B3. 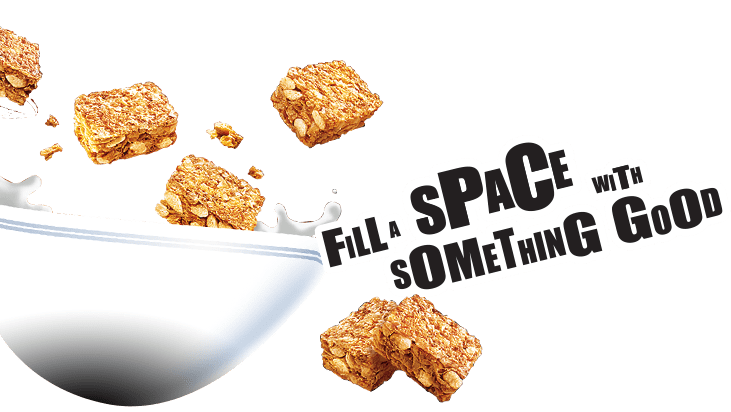 Wholegrain cereals (69%) [wheat (63%), rolled oats (6%)], raw sugar, concentrated apricot puree (4.5%), invert sugar, humectant (glycerol), honey (1%), sugar, wheat fibre, salt, gelling agent (pectin), flavours, barley malt extract, acid (citric), colour (paprika), vitamins (niacin, thiamin, riboflavin, folate), mineral (iron).